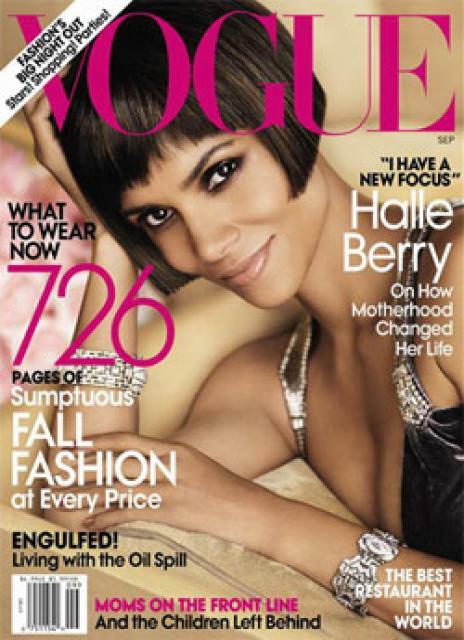 Style Notes | Halle Berry is the first black woman to appear on Vogue’s September issue since 1989, reports The Cut. Naomi Campbell was the first ever black woman to appear on a magazine's September cover. In any event, I can write a rather lengthy essay which discusses, at least, three solid reasons why this cover is significant, especially now, in 2010. But I'll savor the moment and enjoy the mag's radiant cover—and its 726 pages of fall fashion deliciousness.